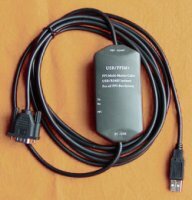 optoelectronic isolated PC/PPI cable,support 10 bit and 11 bit modem communication,with communication indicator,automatically adjust the baud rate from 0 to 115.2Kbps,the largest communication distance of up to 2 kilometers.Not support multi-master station communication. 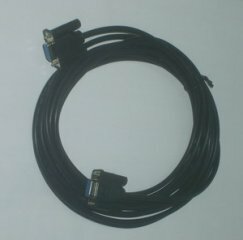 The PC/PPI+ programming cable is the transformation electric cable from RS232 to the PPI connection (RS485), and it is suitable for Simens S7-200 series PLC and the TP170 touchscreen programming, the correspondence and the monitoring. It also supports the PPI agreement and the free mouth communication protocol, and can use MODEM (modem) through the telephone line to make a long-distance correspondence. Since the cable is isolated with the electro-optical and built-in anti-static, surge and other transient over-voltage protection circuit, it solves the problem that the communication I always burned easily well. And it is especially suitable for the long-term monitoring communications which are under the industrial site with a poor environment. ★ According to a transient voltage suppression. 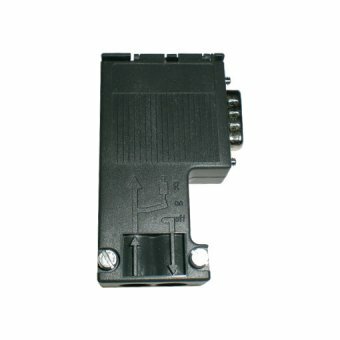 The RS485 port can withstand the power of up to 500 W transient over-voltage and lightning impact，the RS232 port and power circuit are equipped with surge protection to protect the circuit. The whole product can be arbitrarily charged plug. 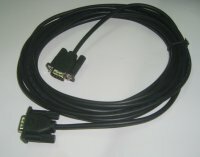 ★ Dimension：103×50×26，The total length of cable is 5m. 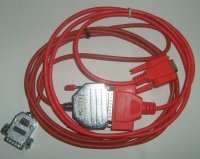 Insert the PC / PPI + cable’s RS485 plug into the programming mouth of S7-200PLC and the RS232 plug into the computer’s RS232 port. Chose the corresponding number of the COM port. Switch the 10bit, 11bit selection switch to 11 bit. 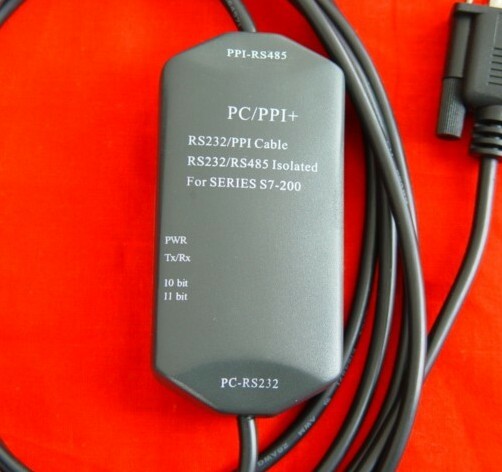 The baud rate of the PC/PPI+ cable is adaptive from 0 to 115.2kpbs. There is no need to set that. 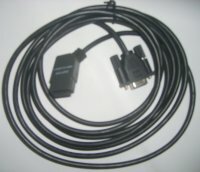 You have to make a cross-adapter by yourself when you get the PC/PPI+’s RS232 port and the MODEM connected. Switch to the corresponding location according to the MODEM that it is 10 or 11. 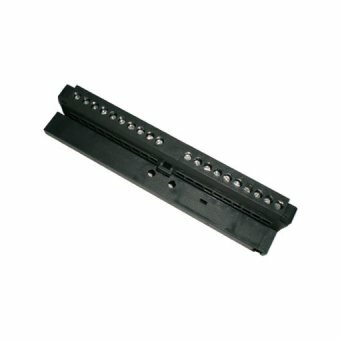 10 bits MODEM refers: 1 outset bit, 8 data bits, no parity bit, and 1 stop bit(or 7 data bits,1 parity bit).This kind of MODEM is comparative common on the market. 11 bits MODEM refers: 1 outset bit, 8 data bits, 1 parity bit (Occasionally bit check), and 1 stop bit .